I wrote Work Work Work for an educational video on the oil industry produced by Cathy Boake of Memorial University's ETV. 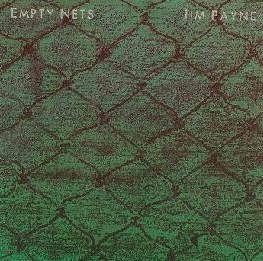 Empty Nets was commissioned by MUN Extension Services and the Coalition for Fisheries Survival for a series of public forums on the crisis in the fishing industry. The recurring headline about the sinking of the Andrea Denise in 1984 provided me with the title for Two Fisherman Missing. Jack Hinks was written by Jimmy Quigley, who was known as the Bard of Erin when he lived in St. John's years ago. I first heard it sung by John White when I was a child. The West Side Of Notre Dame Bay is where I was born and raised, and recounts some of what I feel about Newfoundland and why I stay here and do what I do. A Crowd of Bold Sharemen was written in the early 1920's by John Campbell Mitchell of Little Bay Islands. It's a story of a labour dispute at sea, when the skipper refused to follow the custom of sharing extra profits made by selling cod livers among his crew, the sharemen. The song actually has 33 verses, but I didn't want to turn this into a double album, so I've pared it down to 13. I learned the 3 jigs from the late Rufus Guinchard, and play them here as a tribute to a great musician, friend and mentor. I wrote Always the Best Man a few years ago when it seemed everyone I knew was lining up to get married, and the pressure was on me to conform. I've Been a Gay Roving Young Fellow was learned from Pat Greene of Freshwater, Placentia Bay, and the tunes that follow are the first and last tunes I learned from Rufus Guinchard on the accordion.